Whole chicken stuffed with glutinous rice, red dates, pine nuts and ginseng. A tinge of ginseng alcohol is dropped for that extra flavour and yummy-ness. 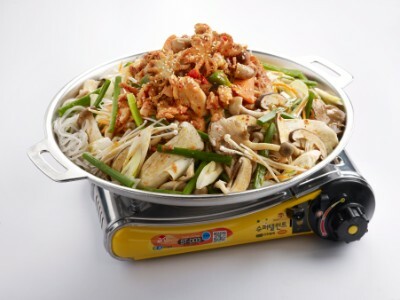 Served with potato slices, mushrooms and vegetables. 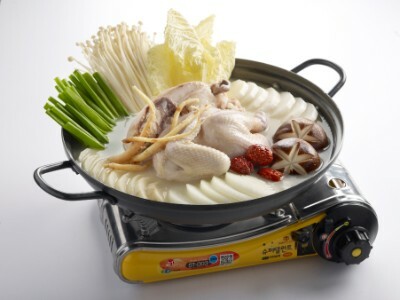 Andong Jjimdak literally means ‘braised chicken of Andong’ and it originated from the city of Andong. 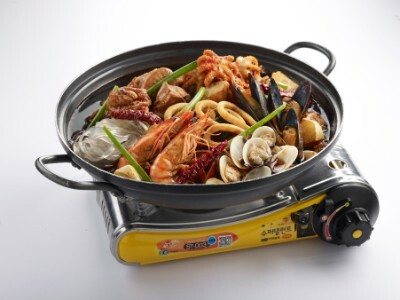 Braised ganjang (Korean soy sauce) marinated chicken with seafood – octopus, mussels, clams, tiger prawns and squid. 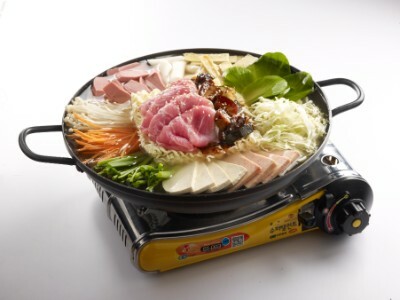 Pork slices, Korean ramyon, spam, sausage, ttoekbokki and assorted vegetables simmered in Jja Jang stew. 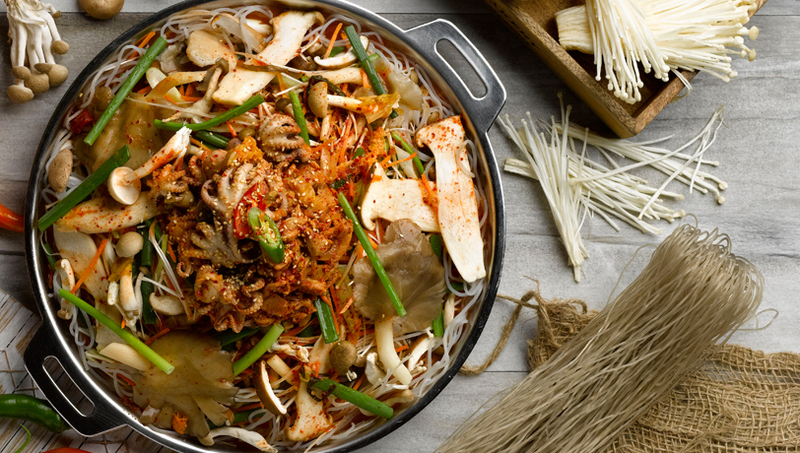 Enoki, eryngii, shiitake, hon shimeiji & oyster mushrooms served with glass noodles, kimchi, leek, carrot and spicy octopus.